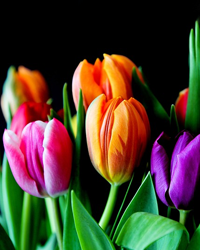 Obituary for Cora Adelaide Sanders | Cremeens Funeral Homes, Inc.
Cora Adelaide Sanders, 88, of 228 First Avenue, Gallipolis, passed away at 1:42 P.M. Saturday, March 23, 2019 in the Overbrook Center, Middleport, after a brief illness. She was preceded in death by her beloved husband, Neil H. Sanders, whom she married August 13, 1950 in Gallipolis. Adelaide was born in Columbus, Ohio on June 28, 1930, the only child of the late Granville and Sylvia Rice Burnette. She is survived by her two children, Hollace Ann (Rick) Moody and Neil Hollis Sanders II, both of Gallipolis and five grandchildren, Joseph (Holly) Moody, Jennifer (Hugh) Graham, Seth (Stephanie) Thompson, Jill Bevan and Erica (Alex) Saunders. Great-grandchildren include Jessica (Justin) Johnson, Jay and Josie Carr, Joey Moody, Hobie Graham, Nolan and Natalie Thompson, Lexie and Jac Bevan, Brayden Moody, Brody, Bowen and Sloane Saunders and one great-great grandchild Eden Johnson. Graduating from Rio Grande College, she began her teaching career at the age of 16, and later graduated from Marshall University with her Master's Degree in Administration Supervision. Both she and her husband were well-known in the local fields of education. She taught for many years in the fourth grade at Washington Elementary, but later became Director of Curriculm for the Gallia County Local Schools until her retirement in 1995. She and Neil sang at many churches, funerals and weddings. They had a weekly radio program on WJEH called "Showers of Blessings" in the late 1950's. She was also the organist for the Nazarene Church at that time and later for the First Baptist Church. She presently attended the First Presbyterian Church in Gallipolis when she was able. Adelaide loved animals, especially her dogs Fritz and Mack. She fed and adopted both dogs and cats and a opossum or raccoon along the way as well because "They get hungry too!" She was involved with the local Humane Society for many years. She enjoyed gardening and her yard was always full of beautiful flowers all summer. In lieu of flowers, please donate to SNAP (Spay Neuter Assistance Program) c/o Christine Myers Cozza, 1032 First Avenue, Gallipolis, Ohio 45631 or Gallia County Friends of Animals, P.O. Box 252, Rio Grande, Ohio 45674. "Grandma" will be sorely missed by her family and friends. Her private burial will be on the family plot in the Mound Hill Cemetery. As she wished, a simple and brief Celebration of Life will be held on Saturday, March 30, 2019 at 11:00 A.M. in the Cremeens-King Funeral Home in Gallipolis for her friends. A luncheon will immediately follow at the First Presbyterian Church Fellowship Hall. The family has appreciated all the thoughts, prayers and visits on her behalf as well as the excellent care she received from Holzer 2West, 4West and the Overbrook Care Center. She had many wonderful friends. The Cremeens-King Funeral Home is honored to serve the Sanders family.